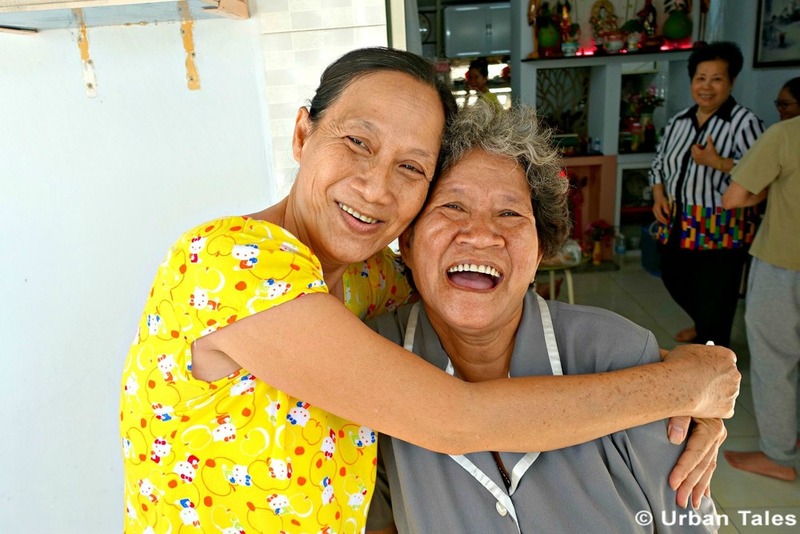 If you ever take the time to wander the colorful streets of Cho Lon, be very careful, as you might end up meeting the warmest and most generous people ever. Those smiling faces and open hearts will only make you wish you could live here forever. 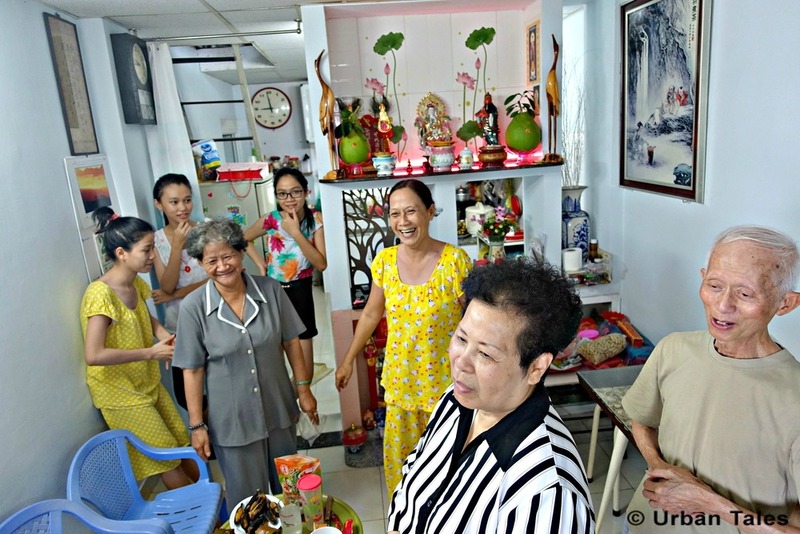 In the very heart of the Chinese district, we decided to pay a visit to the longstanding neighbors of Dr. Lam. And sure enough, we met the most welcoming family in town ! We were warmly welcomed by a charming short lady who luckily enough, spoke English. She invited us to the living room and insisted to offer us a seat and some tea. Not long after, we were joined by her sisters and their children. Everyone took a sit on the floor, around a tray full of victuals: hot tea, dried fruits, rice cakes stuffed with beans, small dark bananas… As we were sitting there, getting offered dozens of drinks, fruits and desserts, we couldn’t help but think about how incredibly well welcomed one could be in Vietnam. No invitation, no formality, no problems… Just smiles and lots of food. Except for the first lady, they all spoke only Vietnamese so she acted as our interpreter. She had been living in Canada for 33 years and was on holidays visiting her sister. She was quite excited about her sister’s son getting married on the following day. « The bride is a good girl » she told us, so the whole family was beyond excitement about that special event. During our whole conversation (which was pretty loud, filled with laugh and quite efficient sign language) her husband remained silent, being the only man in the room, he was quite shy. Some young nieces were chatting and laughing. 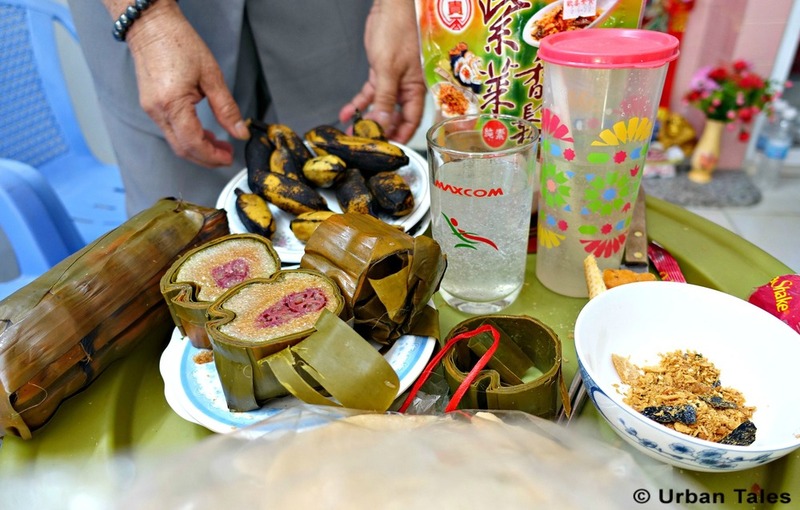 The lady’s sister, called Hồng, offered us some incredibly tasteful bananas and some rice cakes.The bananas were very tasty indeed as they had been boiled in salty water (might sound strange, but it’s definitely a must try). When we suggested we’d be glad to take a family picture of them as memory, all the women in the room disappeared, giggling and hiding themselves! With enough persuasion and laughter, they arranged their hair a bit and came back, finally agreeing about the picture. 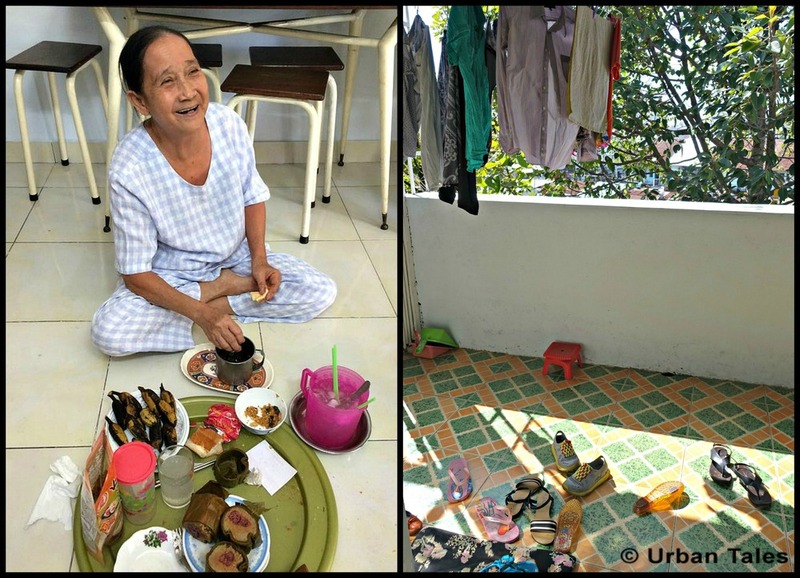 We discussed a bit with them and learned that this family had been living in this flat in Cho Lon for 50 years. We were in a small room which in fact was a dried fruit grocery. The rest of the flat was quite roomy and looked brand new. Thinking back to the 60s, we could imagine the great extend of changes and evolutions this family went through, following year after year Cho Lon transformation. Thankfully for the pleasure of our eyes, all is not gone. 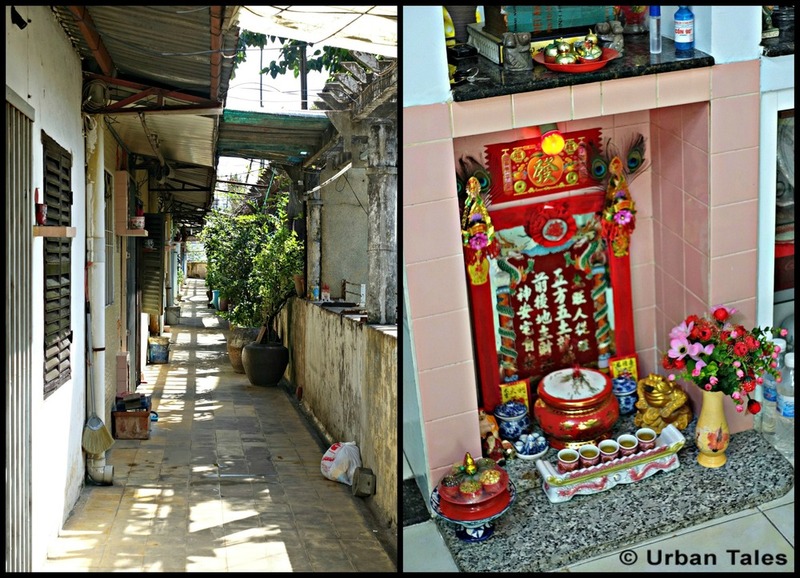 When looking up and around, one can easily notice that Cho Lon still has some of the most beautiful remnants dating from colonial times, like some pre-war shophouses, especially on Trieu Quang Phuc, Tran Hung Dao and Nguyen Trai streets. These old buildings are what make the unique character of the area, although many facades are in poor condition and either have had their historic features replaced or masked by modern advertising boards. 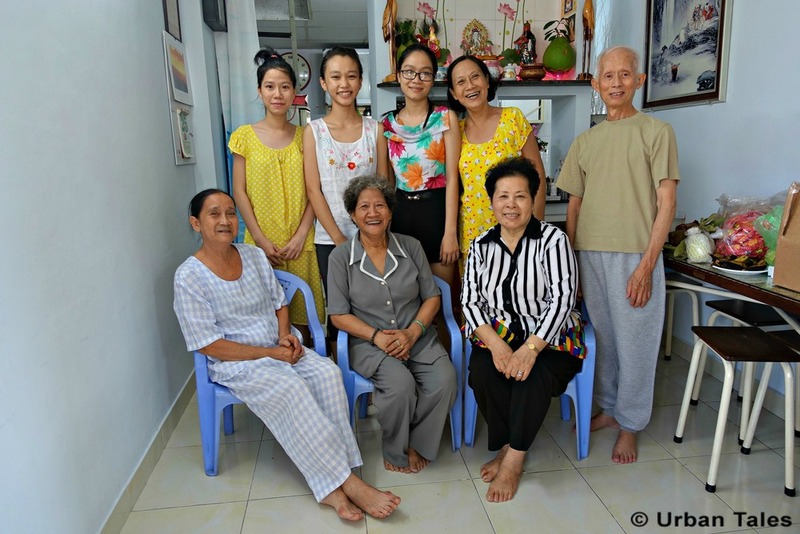 If you want to meet this lovely family and see the very popular Cho Lon building where they live, book our self-guided tour and come and investigate the strange case of Dr Lam!